Africa, My Africa: You'll have had your tea. After my superb wee visit to Edinburgh, I've been home for a couple of days. Time to do some paperwork, time to run (my belt now has to be one notch bigger! ), time for phone conversations with friends I have no time to see, time for baths and afternoon naps. Time for all these things are running out. Today I have to spend some time on gown-up things, like bank accounts and paperwork. So much paperwork, organising lots of bits of paper to allow me into a country, one that I am not even sure I want to go to. Tomorrow I am off to London town. I travel the world, sometimes alone, my first time in Africa for example, not a problem. London? I am getting mini heart palpitations. I am armed with maps; maps to the embassy, maps to my friends, notes to myself about the maps, the said paperwork and telephone numbers. On my last visit I was reminded, "We don't speak on the underground." Maybe it has changed now. Apparently we Brits are friendly now, or for the Olympics at least. I love Edinburgh! I have taken my American wife and stepdaughter to London twice, but have promised them a trip to Edinburgh the next time. My family live up in Cumbria, so it isn't that far. I doubt that London will have changed much. I think the psychology of the underground is that you are crushed together and personal space is lost, so people react by being super-offish! It's a bit of a shock the first time you experience it though! I can only imagine how busy Edinburgh is at this time of year. Ha! We generally stay clear of it in August but I would LOVE to go and see the festival. I should prob just leave my husband and baby at home and go enjoy it by myself!! Good luck in London! I get nervous in big cities by myself sometimes. Ha! I am directionally challenged and get lost a lot. Ha! Glorious. And it can be such a pleasure to be a tourist in your own country for a change - rather than rushing around full of the day-to-day. Enjoy London, see if you can make a Londoner crack a smile on the tube....worth it for the sport of the challenge!! Love your photos!! And thanks for stopping by my blog last week! :) New follower! 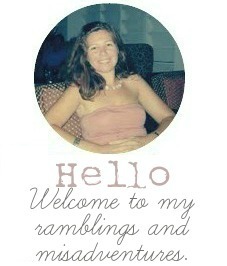 Rachel-thanks for reading my blog! Zoe and Mud-London was ace, lots of friendly, pink dressed people everywhere still-like London's cheerleaders! Thanks Jane!My visit to London was fantastic-I always forget how huge it is (huge-remember I am from wee Scotland) and how many people there are-but it really was great!